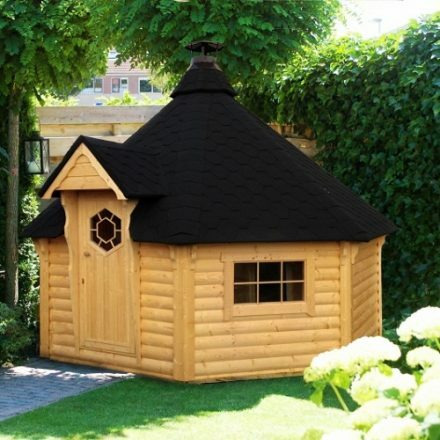 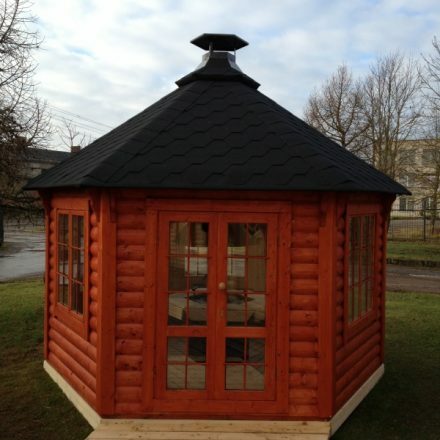 Barrel made from spruce, Roof covered with bitumen shingles of your selected color, Inside benches, 37 cm long benches at the entrance. 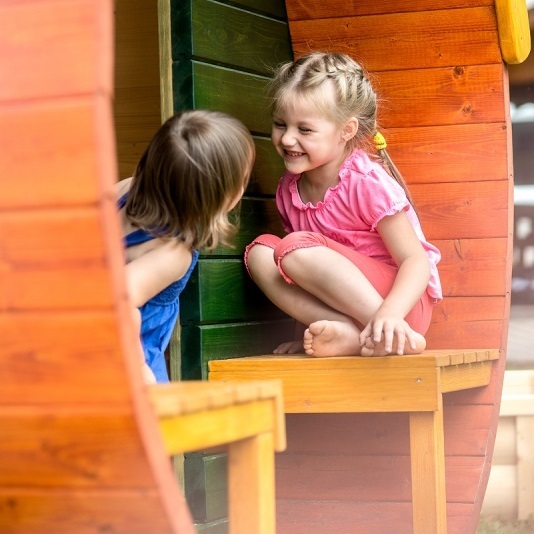 Playground Barrel is the great place for kids to have their own space to play, learn, and grow. 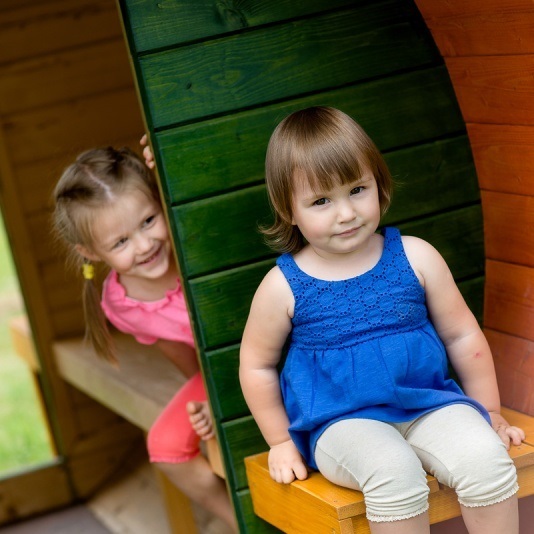 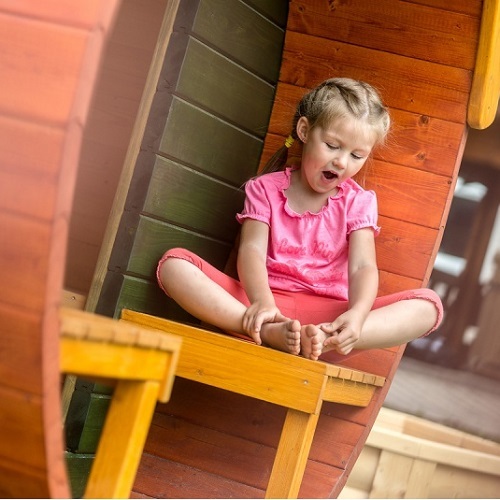 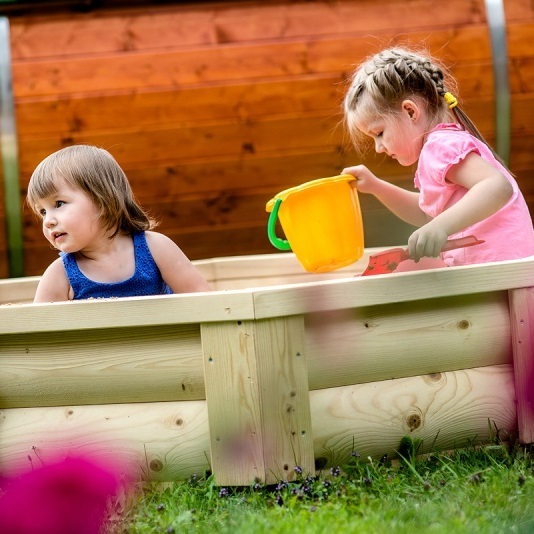 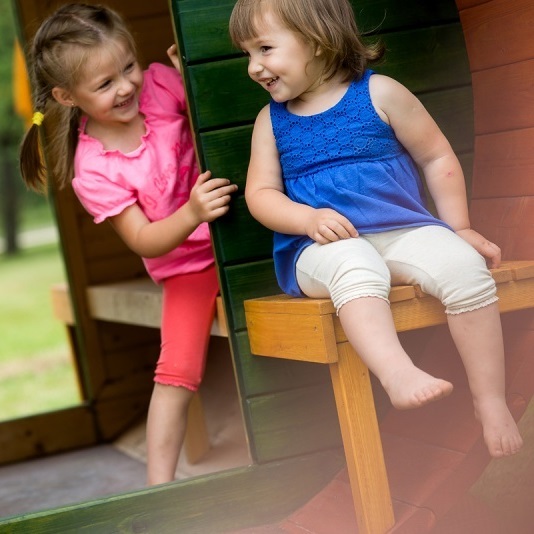 We offer a Playground Barrel of two sizes: 1.9m length / Ø1.6m Playground Barrel, 2.54m3 inside area, 1.80m high, from spruce or larch with one open wall and terrace in front. 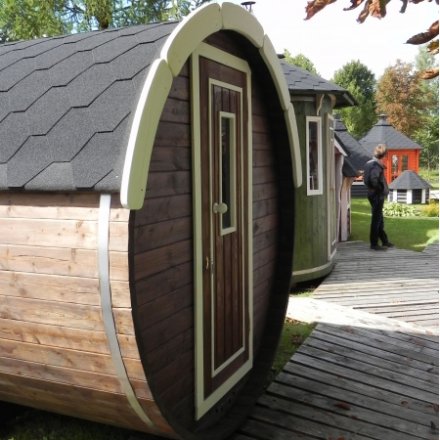 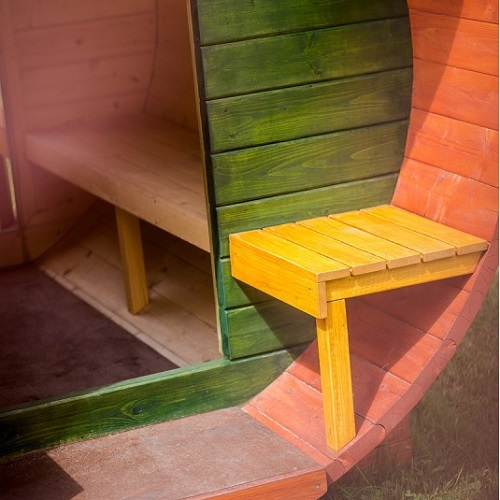 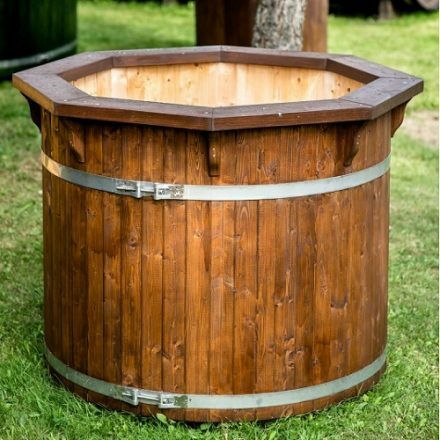 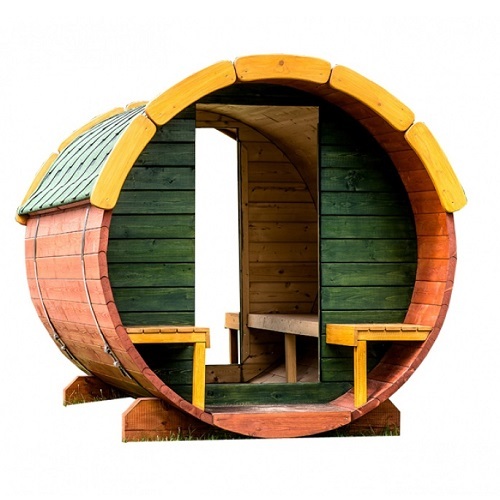 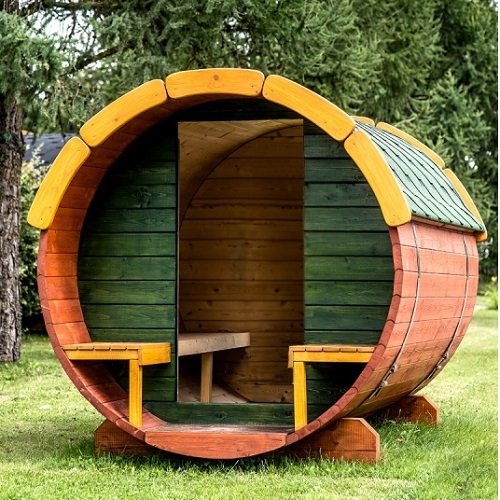 2.3m length / Ø1.6m Playground Barrel, 2.73m3 inside area, 1.80m high, from spruce or larch with two open walls and terrace with benches from bought ends. 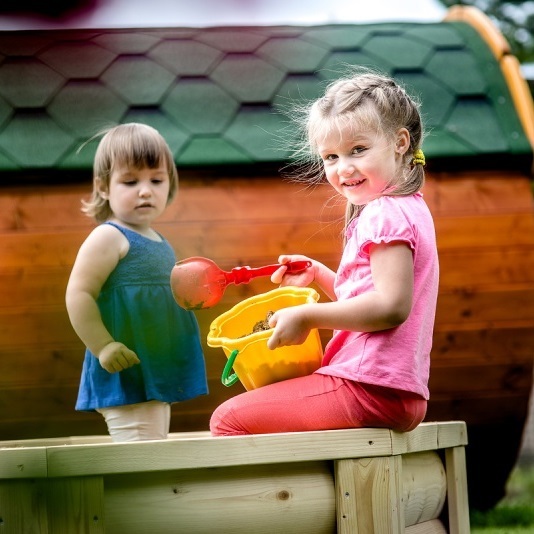 Playground barrel is delivered to a customer fully assembled (L x W x H): 2 x 1.8 x 1.8 m or 2.4 x 1.8 x 1.8 m. Weight is 400 kg.